I woke up today to a world of ice. I actually couldn’t see outside. The freezing rain from last night sat on the velux window of my bedroom half an inch thick. Downstairs, I could see the streets, pavements, lamps, cars all shimmering like mirrors. Ice everywhere. Not surprisingly, I didn’t venture outside. All day long. I’ve baked instead. And pootled around quite a bit. It’s been snowing here till today. Beautiful. Crisp. Cold. Freezing cold, to be sure. Wonderful when inside looking out. Snuggled up alongside my cats. But still quite nice to trample through. I’m thus pursuing my endeavour to read the Penguin Books Great Loves series. Six down. Fourteen to go. F. Scott Fitzgerald’s contribution to the series didn’t do it for me. Magnetism. Not that I don’t love his writing. I do. His words wash over and envelope you. His descriptions are vivid, unobtrusive. But in this context - with my need and expectations for romantic love high - he was so realistic that his short stories on love were just too, well, real. He portrayed only too concretely the ups and downs of life as a couple. The struggles and the jealousies. The fears and the doubts. The pain. That’s really not the kind of loving I’m looking for just now. You may then think it somewhat incoherent of me to now heap praise on Françoise Sagan’s Bonjour Tristesse, which was the next of my Great Loves. Penguin Books says in its regard: love can be complicated. That in itself spoke to me. And FS's tale is most certainly complicated. And so tragic! Makes my experience in love seem jolly smooth sailing, I can tell you. But the sheer magnificence of this piece of story-telling is that Bonjour Tristesse was published when FS was only 18 years old. It was her first novel. And it was an immediate international success. How astounding is that! I'd like to be jealous or disdainful. And yet I can’t help being agog in admiration. The writing is truly the voice of a spoilt adolescent. But FS’s insight into the turbulence and game-playing of relationships is stunning. It’s a compelling read. Not the true romance that may have soothed my troubled soul, I grant you. But compelling all the same. And good writing will always nourish the soul. Troubled or otherwise. FS's other works are now in my Amazon basket. Jealous I may be, but not so foolish as to deny myself quality and pleasure. Just wanted to let you know that I nominated you for the Liebster Award! 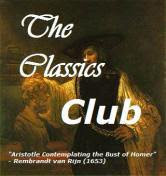 Check it out at book-nerdandcritic.blogspot.com.